Editor's Note: The men's locker room is currently undergoing renovations through May 17. The wet facilities and the relaxation lounge are still available for use. 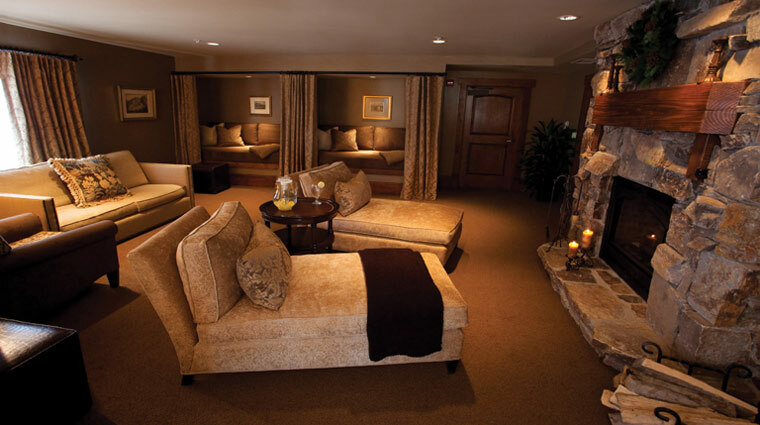 Roaring fireplaces and plush couches set a soothing tone as you enter the alpine escape of The Spa at Stein Eriksen Lodge. The cozy ambiance is comforting both mentally and physically — after all, this mid-mountain retreat was designed to soothe sore muscles after a long day of skiing, as well as relief from the effects of the resort's high altitude. Aromatic and exhilarating treatments refresh and renew at this European-style Forbes Travel Guide Five-Star spa, where Vichy showers and kurs are de rigueur. Whether you’re craving a skin-brightening facial or a muscle-melting massage, you’ll find it here, alongside an array of fabulous fitness classes (try the signature Stein Spa Yoga to enjoy some excellent assisted stretching) to keep you in shape even if you’re not headed for the slopes. Post-treatment, be sure to unwind in the picturesque outdoor pool — the heated retreat offer gorgeous views of Deer Valley any time of year. 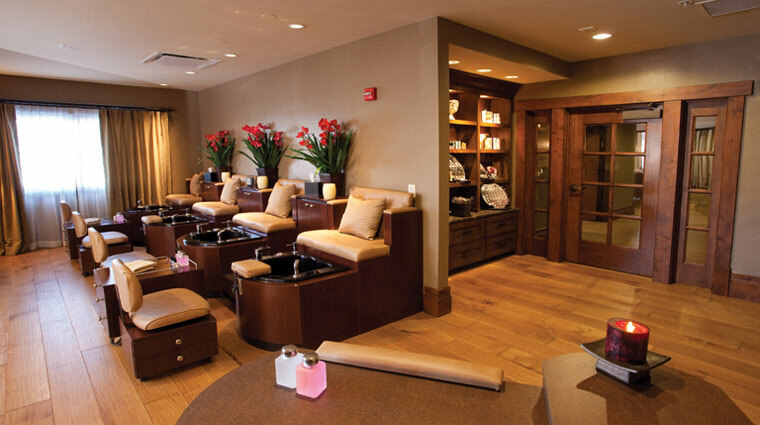 As a cozy Norwegian-style escape from the chill of Park City during ski season and a place to beat the heat in the summer, this cozy spa serves as a great escape year round. 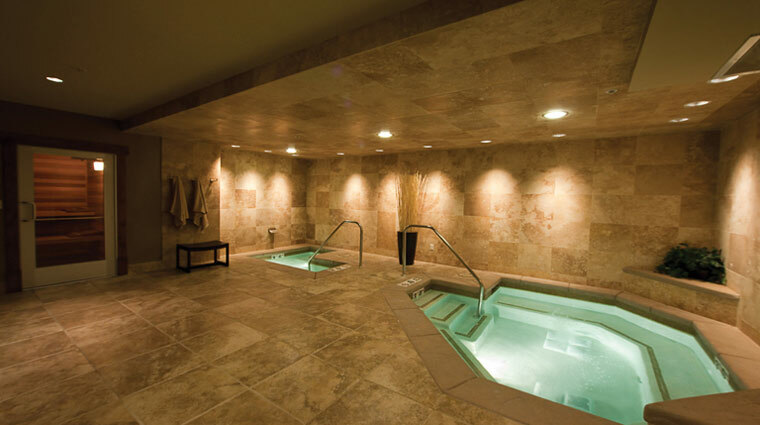 The Spa at Stein Eriksen Lodge has a philosophy of focusing on wellness and balance. The treatment menu at the resort spa is designed to provide rejuvenating options such as soaks, massages, altitude adjustment and body treatments to help restore balance to exercise-weary muscles. This kid-friendly spa is a popular vacation spot for families, so the spa has special treatments catered to kids. The two-hour Teen Dream package is customized for your son or daughter's age and needs, and includes a mini manicure, mini pedicure and their choice of a facial or massage. If you're hungry for a little more than just a snack, you'll be offered the option of having breakfast or lunch during your treatment. You'll have to request this when you book, though, so plan ahead and don't fill up on snacks in the relaxation room. Whether or not the concierge can get you into Stein Eriksen's prized sanctuary at the last minute largely depends on what season you’re visiting. It’s a bit more challenging in winter, but the summer months should be a breeze. To be sure you get all the treatments you want — at the exact times you want to have them — it’s always best to make an appointment at least a week ahead of time. There’s nothing worse than having to cancel some pampering but unfortunately things come up and that’s why it’s good to know about the 24-hour cancellation policy. To help keep the atmosphere stress-free and without any technological distractions, the tranquil spa prefers that you not use your cell phone during your visit. Running on a treadmill can get tedious after a while, so if you work out better in a group or with a little instruction, you can spice up your workout routine with a personal training session or yoga class available by appointment. For a unique experience designed just for you, opt for the Stein Signature massage. Ranging from 25 to 110 minutes, this incorporates the techniques that work best for your aches and pains, resulting in maximum relaxation. You can’t go wrong with a good hot stone massage. During the 80-minute Soothing Stones therapy, the therapist uses smooth, heated river rocks and classic Swedish massage techniques to melt away your tensions. Being 8,500 feet above sea level can wreak havoc on your skin and make you feel out of sorts, which is why we’re grateful for the three-hour High Altitude Relief Package. 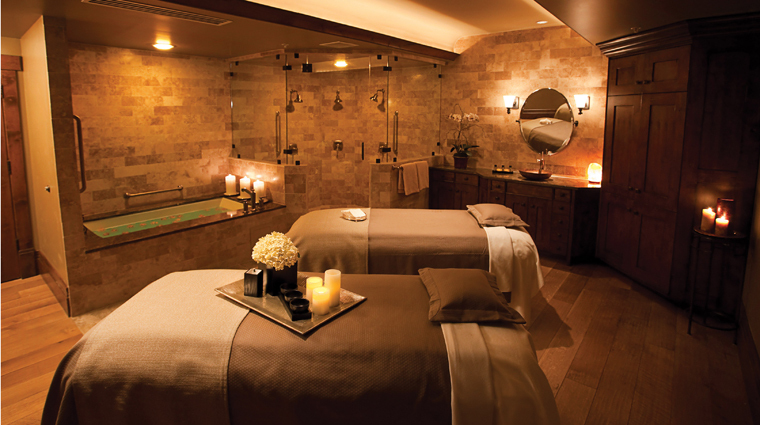 You’ll be treated to a massage with aromatherapy, a facial and a body polish to lock in moisture. The Nordic Princess Vichy treatment for women and the Norseman Vichy for men use microdermabrasion scrubs to exfoliate your body before a soothing rain shower rinses you off and prepares you for a hydrating lotion. The relaxation rooms are fully stocked with snacks, including a spiced trail mix, raisins and dried cranberries, sunflower seeds and fresh fruit — plenty of munchies to keep hunger at bay without weighing you down right before your treatment. A nice way to warm up, loosen your muscles and open your pores before a massage or facial is by taking a few minutes to enjoy the sauna, steam room and hot tub in the locker room. Wellness isn't all pampering and exfoliation — sometimes it takes work. 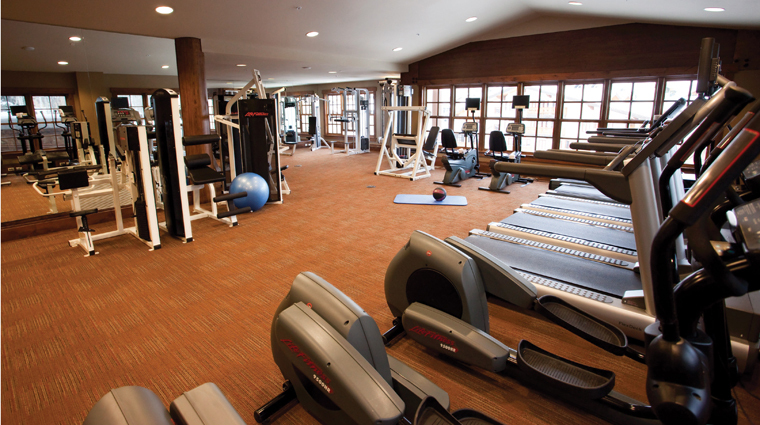 That's what the Stein Eriksen spa’s gym is for, a place where you can tone your muscles on treadmills or strength training machines after they've been unknotted by your therapist's expert hands. The wet areas feature two Vichy treatment rooms complete with private showers. There’s also a retail shop by the reception desk that stocks products used during the treatments, so you can peruse these while you wait. Eminence skincare products, Knesko collagen masks and luxe Jack Black men's products are just a few of the high-end brands you can expect to find here.